Both the City of Eugene and the City of Springfield are looking for new BPAC members. Apply and get engaged on building a better active transportation environment for our community! Eugene applications are due Nov. 22nd and Springfield on Dec. 2nd. 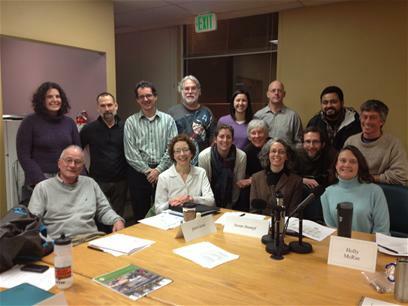 The City of Eugene is seeking new Bicycle and Pedestrian Advisory Committee members. The application period is open until November 22, 2013. Terms begin in January 2014. BPAC 2014 Application HERE Info about Eugene BPAC: Eugene's Bicycle and Pedestrian Advisory Committee (BPAC) advises the City of Eugene Transportation Planning staff and community organizations and partners on the following: Implementation of the Pedestrian and Bicycle Strategic Plan Community and constituent interests in transportation planning … Continue reading "Two BPACs Looking for People to Serve"